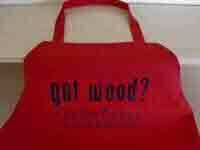 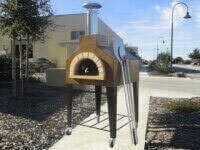 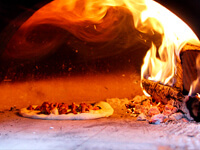 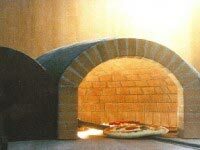 Wood-fired brick ovens and pizza have been with us since the dawn of civilization. 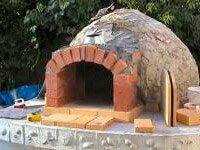 Both have been discovered in the excavations of virtually every ancient civilization, with the brick oven reaching its modern form in ancient Rome. 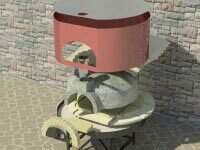 The brick ovens uncovered in ancient Pompeii are in wonderful shape, and could start baking today with only minor renovations. 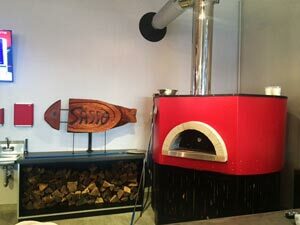 The shops themselves resembled modern pizzerias, with granite counters, and a salad bar featuring both hot and cold foods and drinks to accompany the pizza. 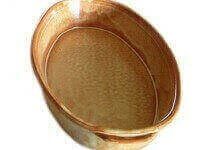 It makes you think there is little new under the sun. 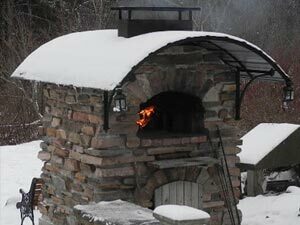 Medieval brick ovens can be found throughout Europe, often with little variation from the original Roman round, domed oven chamber, and front vent design. 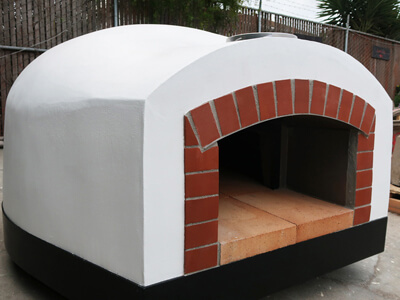 In northern Europe, the ovens tended to be larger and the property of the local Lord—who owned both the oven and the heat inside it, and would charge the serfs for baking their bread. 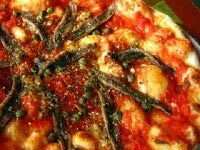 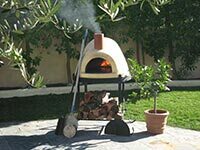 In Italy, where the feudal system took a less firm grip, the ovens tended to be owned by individual families and were smaller—which is the foundation for Italy’s modern pizza oven industry. 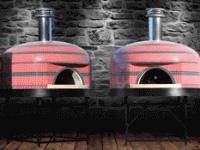 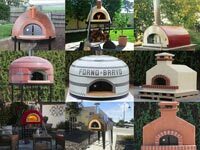 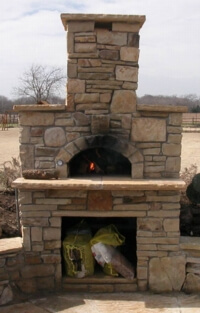 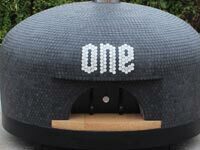 Round ovens built from brick, and even local stone, have been built in Italy seemingly forever. 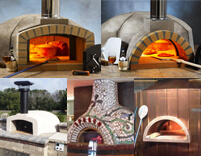 Virtually every Tuscan farmhouse has, or had, an original brick or stone oven, and many are still being used today. 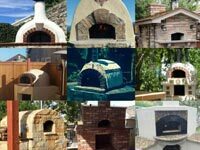 Prefabricated ovens and stoves were created in Victorian England during the industrial revolution, and signaled the use of metal for oven construction—a development that nearly killed the refractory oven for home use. 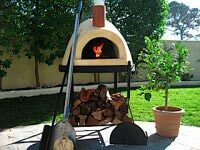 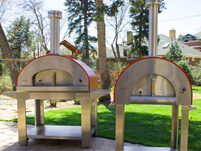 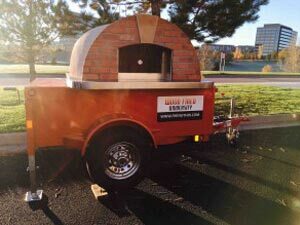 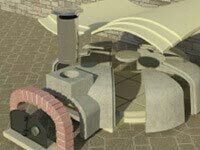 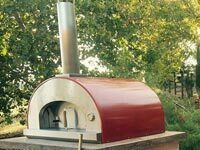 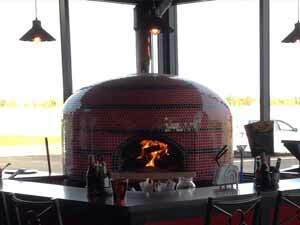 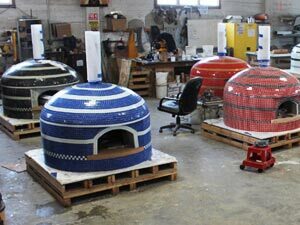 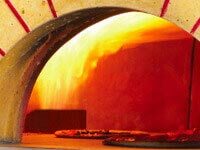 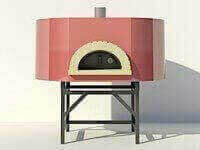 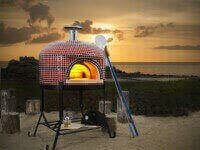 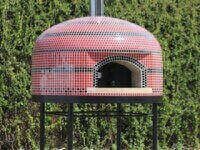 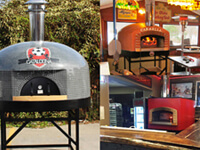 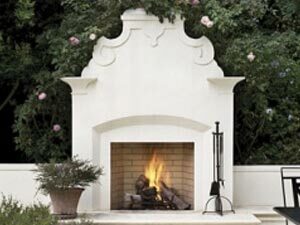 The prefabricated refractory pizza oven was created in Italy around the turn of the century, and it took off in Italy in the 1970s, with a renaissance of brick oven cooking. 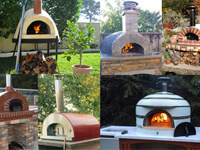 After a detour caused by the modernization of Italy in the aftermath of the second world war and the subsequent acceptance of the electric “American Oven”, a large number of families have begun to rediscover the pleasure of wood fired cooking, along with the recipes and techniques that their grandparents passed down to them. 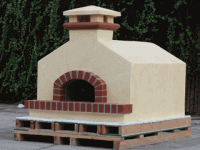 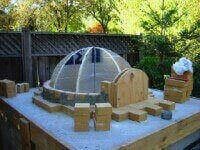 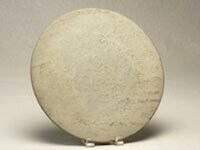 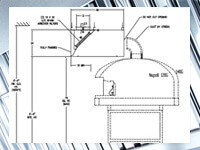 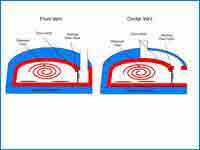 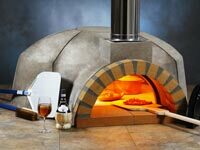 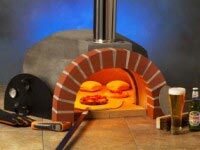 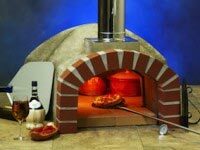 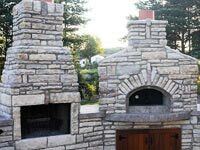 The next development in pizza oven design appeared in the 1990s, with the creation of modern refractory and insulating materials. 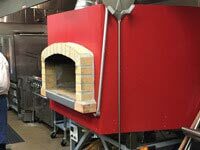 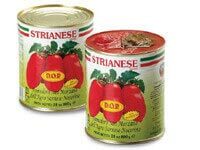 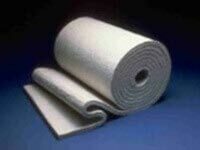 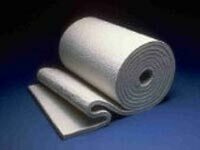 These high-tech composites reduce oven heat-up time from 2-3 hours to about 45 minutes and have excellent heat-retention characteristics. 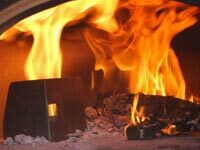 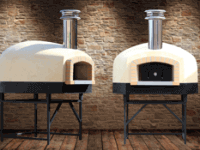 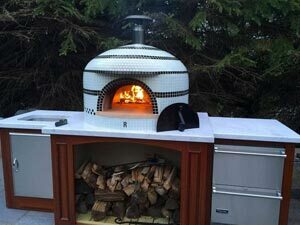 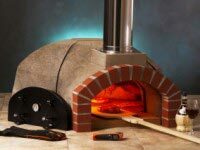 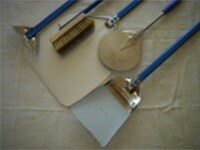 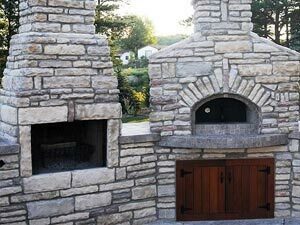 The final step in the evolution came with the mainstream use of modern ceramic insulation, which made pizza oven installation faster, easier, and less expensive than ever before. 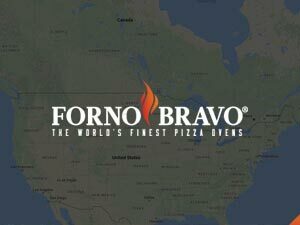 Today, every Forno Bravo comes with complete, 100% ceramic insulation. 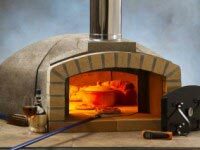 Now, with advancements in fuel sources and compact, robust burners, Forno Bravo has added natural gas and propane to wood as fuel options for many of its larger residential ovens, and all of its commercial ovens. 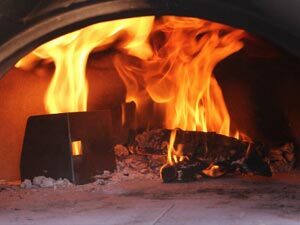 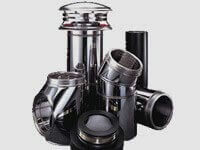 While gas may not provide the ambiance and some of the infused flavors of wood smoke, its ease, simplicity, and efficiency make it a popular choice for many customers and businesses. 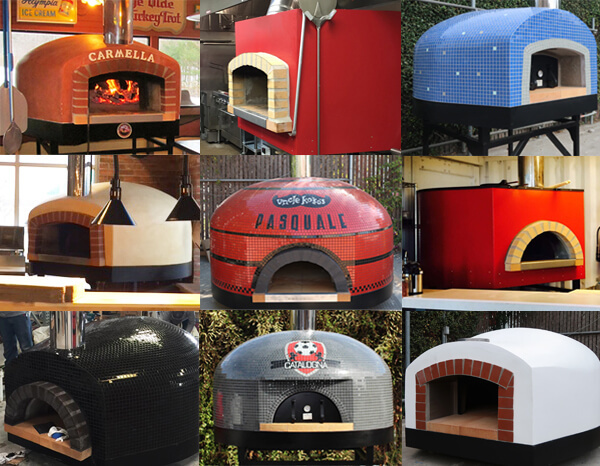 Never forgetting our roots, we’re excited to see what is still to come! 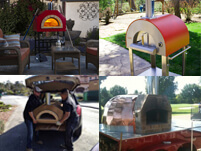 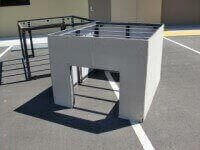 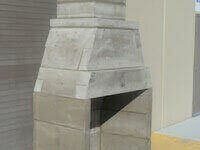 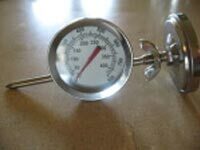 Learn more about Forno Bravo’s Core Oven Technologies and Benefits. 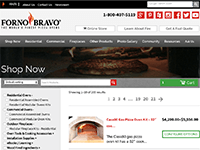 Explore our current Commercial and Residential oven options with the Selection Wizard.